Lilia Cuntapay who has been dubbed as "Queen of Philippine Horror Movies," appealed to the public through a video posted on Facebook. 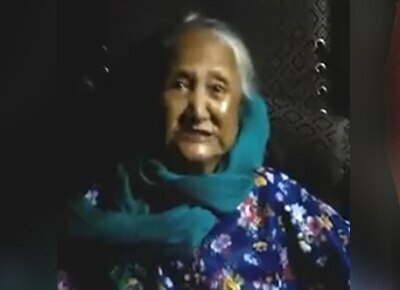 The 81-year old actress asked for financial help after suffering from a spinal cord problem which caused her to not be able to walk and work since July 5. “Sa mga concerned citizens diyan, like yung mga directors ko, mga co-workers ko, wala na ako sa showbiz dahil may sakit ako. Kung mahal ninyo pa ako, any help will be appreciated,” she said. According to the Task Force Lingkod Cagayan (TFLC) of the provincial government of Cagayan, Lilia used to stay in Gonzaga but requested to be brought to her Ilocos Norte home. She is now under the care of her son. Lilia appeared in various horror films and TV series such as Shake, Rattle and Roll, Wansapanatay, Okatokat and Forevermore to name a few. She was also awarded as Best Actress in the indie film Six Degrees of Separation From Lilia Cuntapay in 2011 at the Cinema One Originals Digital Film Festival.